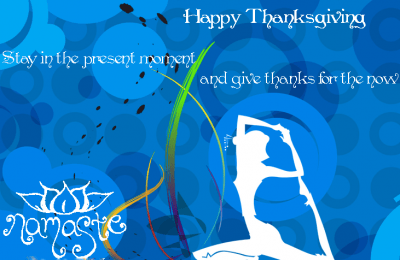 Much gratitude now and always to all of you who show up week after week to your yoga mat. Whether you realize it or not, your presence in class not only lights your own flame but also supports others that practice beside you on their path. Sometimes all we need is a spark to rekindle our flame; a smile, a kind work, a new idea, a sweet heartfelt hug. Never underestimate the power a small gesture can create. May you and yours enjoy the small moments, those precious times together when we express our gratitude for each other and all we have in our lives. YOGA JAM – December 7th – 8-915am- Get ready to detox your body and mind making room for your spirit to soar in this fun, flowing fast-paced vinyasa class set to rockin’ music! This class will be intentionally challenging and is open to all levels ready to take their practice up a notch! Minimum of four students required for class to fly! Let’s make it happen, please sign up as soon as possible. WINTER SOLSTICE CELEBRATION – Save the date for December 29th, 7-9pm for a chance to connect as a Sangha, Chanting, Intention Setting, Community Vision Board Creating, Yoga Fun and Refreshments….please let me know if you intend on attending. All are welcome! Would love to come to the Winter Solstice Celebration. Is it on a Sunday night this year? Don’t you usually do it on a Monday night? Great, since now I don’t have to worry about switching my night at work! Have a good night!